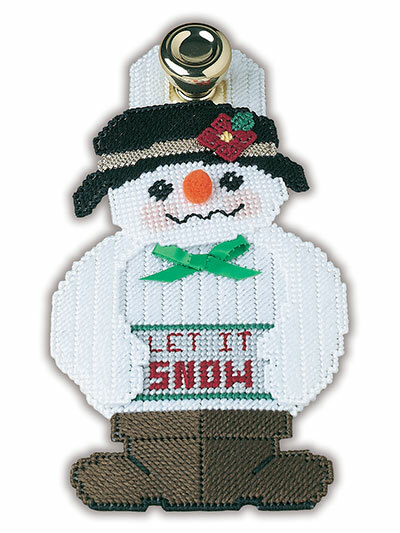 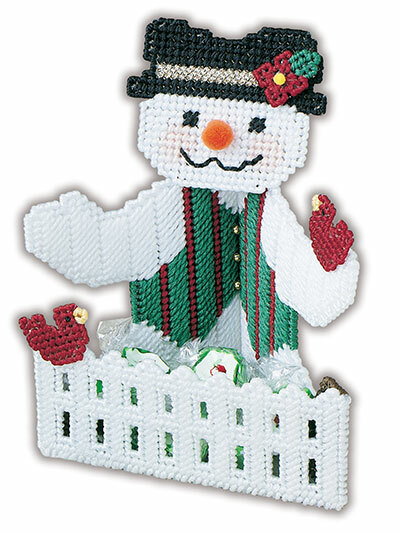 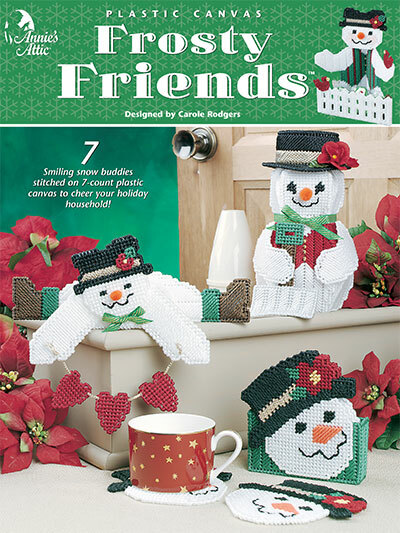 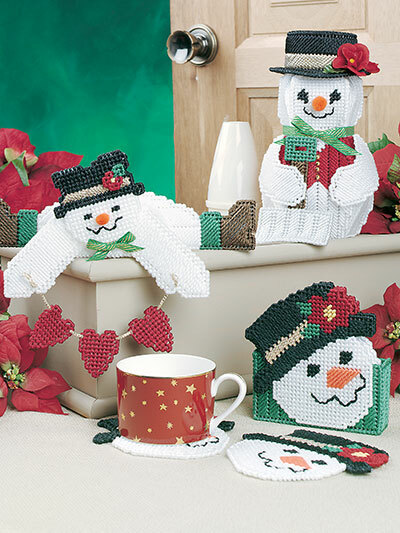 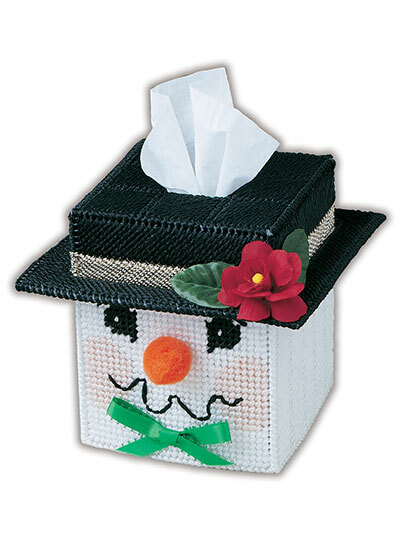 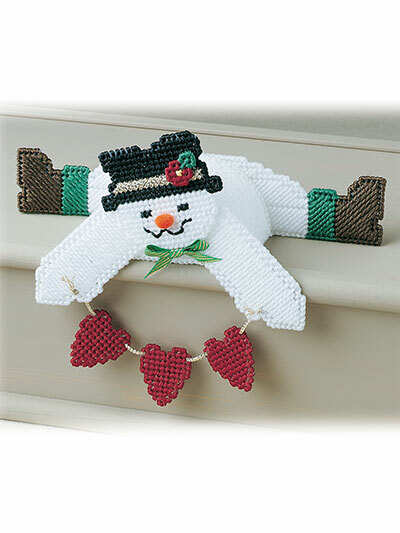 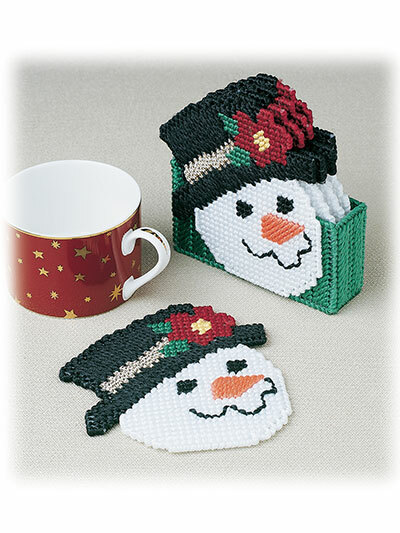 These 7 smiling snow buddies are sure to add cheer to your holiday gatherings. 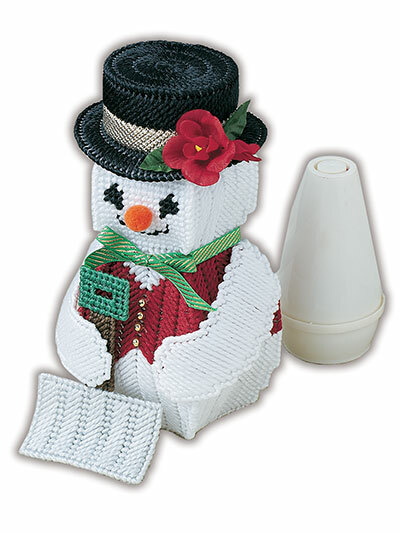 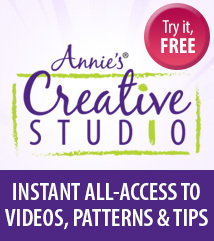 All designs are stitched on 7-count plastic canvas. 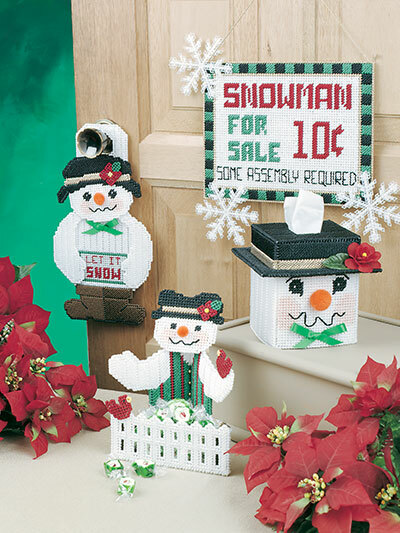 Designs include a door knob hanger, candy dish, a tissue cover, shelf sitter, for sale sign, an air freshener cover and a coaster set. 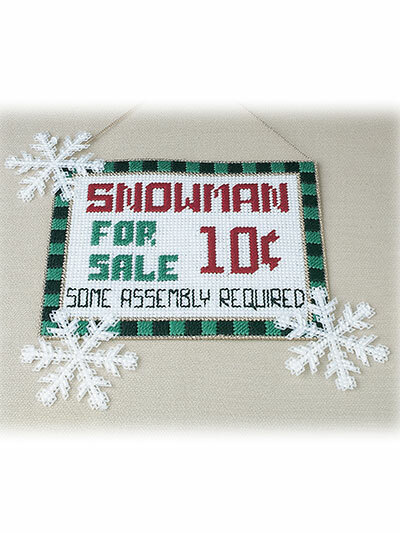 The directions could be a little clearer as to how to assemble some of it but projects turned out good.